Quotes Of The Day: One smile, can start a friendship. One word, can end a fight. One look, can save a relationship. 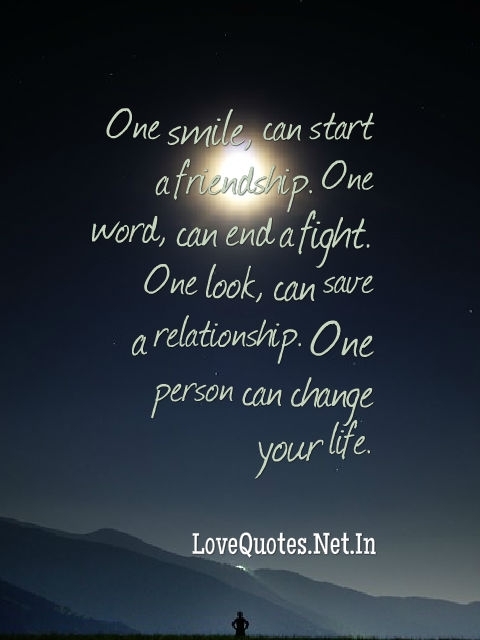 One person can change your life.